As advocates for this new and exciting renewable technology, we are constantly training our staff in keeping up with the latest National Electrical Code (NEC), local codes and techniques. BMC Solar installers have and continue to receive certified manufacturer training from a wide variety of solar industry leaders including module, inverter, racking, switch-gear, grounding and data-monitoring producers. 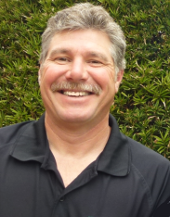 Brian Meitzler (CEO) has been in and around the solar industry for 20 years, and is known as the best solar installer of residential in Southern California. So much so, in fact, that he's been hired by the San Diego Fire Dept. to educate the firemen on solar safety. He is the winner of the prestigious 'Intelegant Award' issued by Sunpower and the runner-up twice. He also has the distinct honor of being the only installer of solar in California to receive a 100% grade by this same manufacturer. Brian will personally be supervising your home's solar installation: "We are committed to the highest quality service, and welcome you to our solar family!" Chris Naire (VP) brings his technical know how to the team, and works with our design engineer to make sure that every solar installation is the best it can be. 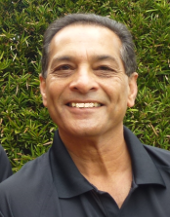 He was elected by his solar industry peers to the board of San Diego CALSEIA, an organization devoted to the betterment of all things solar. Our customers love Chris, and Chris in turn loves to zero out their energy bills: "Saving you money on your SDG&E electric bill gives us the greatest satisfaction!" From design to finish, our experienced estimators, project managers and technicians provide the expertise to ensure your Solar Power project in the San Diego, Carlsbad, Encinitas area is completed on time, on budget and up to code. Contact us today and we'll show you how we can put our knowledge to work for you. Our senior design engineer is a Leadership in Energy and Environmental Design Accredited Professional (LEED AP), a North American Board of Certified Energy Practitioners (NABCEP) certified designer, and a C-10 Licensed Electrician (CA License # C-10 943029). The Nalu Energy team consists of mechanical and electrical design engineers, all of whom hold engineering degrees from ABET accredited institutions. Our team offers exceptional solar PV experience including the design of over 300 residential projects (which account for over 2 MW of installed solar) and over 20 commercial projects (which account for over 3.8 MW of installed solar). Having completed extensive product research on the industry's top-quality system components, our team has the ability to recommend a variety of solutions to meet your specific needs.